South Goa’s busiest resort is a hub of activity, presenting a vibrant and captivating atmosphere and character unlike any discovered elsewhere in South Goa. In addition to the holidaymakers visiting Goa, Colva is a popular destination for locals, adding an authentic aspect to the resort, reinforced further by the superb range of local restaurants serving up the best of Goan cuisine. The village was a significant location during the colonial period, and signs of this era still populate Colva today, primarily in the form of impressive heritage homes and some ruins. 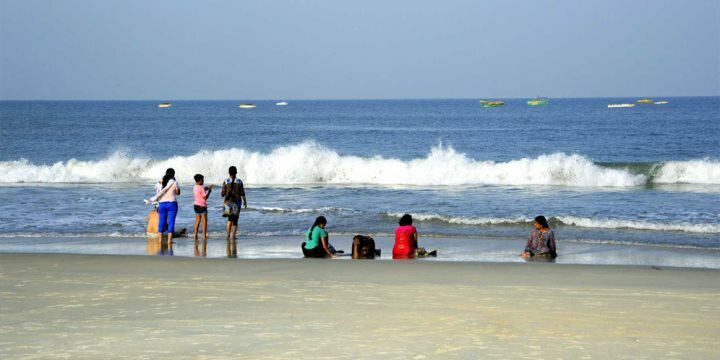 While the hustle bustle may not seem apt for a Goa holiday, you can find quiet and relaxed spots further along Colva’s lovely beach to lay your beach towel. The long stretch of white sand is backed by swaying palm trees and rolling sand dunes, while out to sea it is commonplace to witness the bobbing of colourful fishing boats bringing the catch of the day back to dry land. Please find below a selection of our accommodation in the resort of Colva in South Goa.